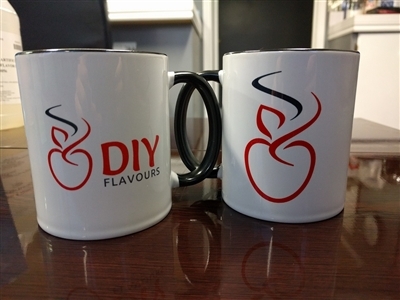 Order the Official DIY E-Juice Coffee Mug! DIY Coffee Mug. White outside, black inside & black handle. Its a Mug. I like it! Nice. just wish it had your phone number on it. I liked it...... You's Guys are the Best. Great Company to deal with.